The CrossFit “Open” begins March 6th and I encourage my friends, who want to gauge their level of fitness, to register. The Open is a unique opportunity to find out how you stack up against a large pool of other fitness minded folks. At the least go to the website and give it a good look over and even if you don’t join the fun you can still do the workouts for free. To participate – along with 100,000 or so others from across the globe – you simply go to http://games.crossfit.com and click on the “Compete Here” tab. The good folks at CrossFit will take a small fee for your participation but in return you get to actually see how you stack up against other athletes from around the world! CrossFit has branded itself “The Sport of Fitness” and crafted their own definition of fitness that challenges the athlete to develop capacity in ALL of these general physical skills: Stamina, Strength, Flexibility, Power, Speed, Coordination, Agility, Balance, Accuracy, AND Cardiovascular Endurance. This is accomplished by avoiding specialization (like bodybuilding or distance running) and embracing generalization. 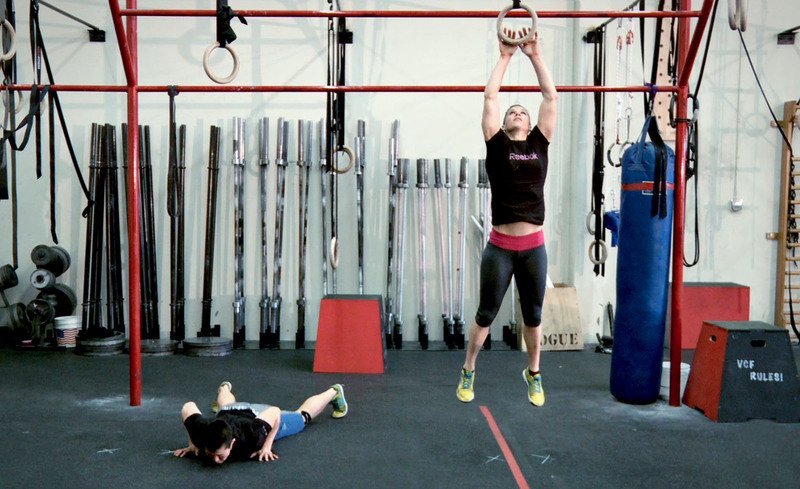 A typical week of CrossFit training includes workouts derived from gymnastics, weightlifting, powerlifting and track and field. For the CrossFit Open, results to standardized workouts called WOD’s (Workout Of the Day), are entered by each athlete, and then categorized by gender, age category and geographical region then downloaded on to CrossFit’s “Games” site for all to see. Each week for five consecutive weeks, the Director of Programming at CrossFit HQ announces the WOD for all to perform. Last year, the first WOD announced was a, simply horrible, challenge of full body strength endurance: perform as many jumping burpees as possible in seven minutes. The “jump” was defined as touching a target, six inches above the athletes outstretched hand, with both hands. This workout is as much a test of one’s mental toughness as it is muscular endurance and intriguingly it requires absolutely no equipment. This workout beautifully (if not brutally) illustrates how important it is to first develop mastery of ones own body before considering machines. Historically the CrossFit Open workouts get more complex as the five week competition wears on. If you are new to CrossFit you should know that the pool of exercises drawn upon for workouts is vast. This is intentional as it aims to cover the broad arc of physical fitness. If by now you are wondering how to best prepare for the Open, know that part of the sinister genius of CrossFit is preparing for the unknown. In real life, traumatic events happen without warning and the ability to spring into action can be the difference between a good outcome and a not so good one. It is in this spirit that CrossFit Open athletes get just a weeks notice before the deadline to post workout scores/times. That’s enough time to familiarize oneself with the workout but hardly enough time to get stronger, faster, increase stamina, refine technique etc. CrossFit like life itself is a continuous and forever evolving work in project. I hope you give the CrossFit Open a try and keep working to be the best that you can be.